J-14 New Moon Countdown: 17 Days to Go — Taylor Lautner Tells Why He’s Born to Be Jacob! 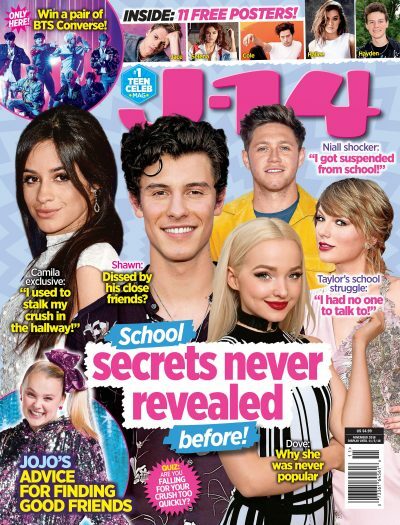 J-14: What was it about the role of Jacob that drew you to him? Taylor Lautner: I guess the fact that I'm a lot like him. When Jacob's human, he's really friendly and outgoing and talkative, but his other side — his werewolf side — he's very fierce and grumpy… and that's totally opposite of me. It's fun to play somebody who's just like me, but then it's cool as an actor to challenge myself to play something totally opposite of me! J-14: You enjoy that contrast and balance? Taylor:Yeah and Jacob is both of that, so that's pretty cool.